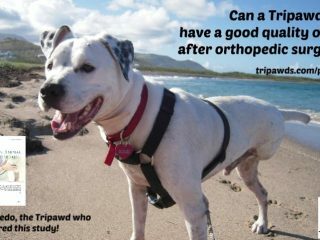 All aging Tripawd dogs and cats will experience the effects of an altered gait. 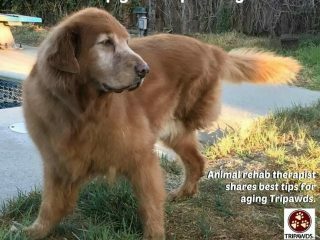 Animal rehab therapist Sasha Foster explains how to minimize the impact of life on three legs. 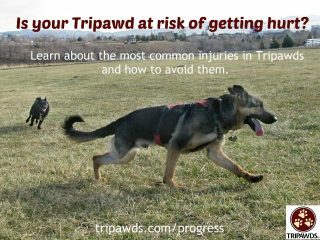 Don’t let your Tripawd get hurt, learn how to prevent common injuries in Tripawds with tips from Sasha A. 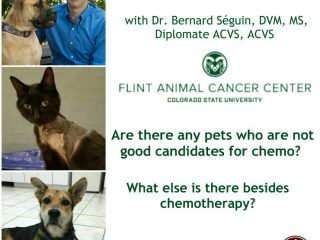 Foster, MSPT, CCRT of the Colorado State University James L. Voss Veterinary Teaching Hospital Orthopaedic and Mobility Medicine team. 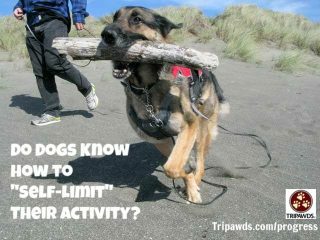 If you think Tripawd dogs self-limit their activity when they’ve had enough, hear what canine rehabilitation expert Sasha Foster has to say about “self-limiting behavior” versus acute pain. 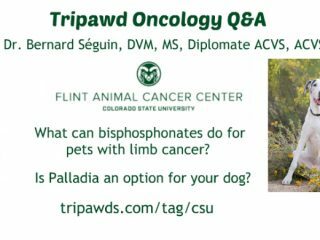 Does your Tripawd need surgery on a remaining leg? 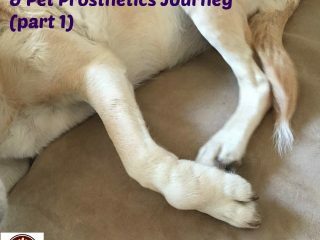 Download the Postamputation Orthopedic Surgery in Canine Amputees Study for a look at quality of life and owner satisfaction results. Ready for the day we can prevent cancer with one inoculation? 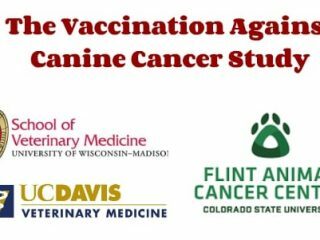 Scientists at three veterinary teaching hospitals are leading the way with the Vaccination Against Canine Cancer Study. 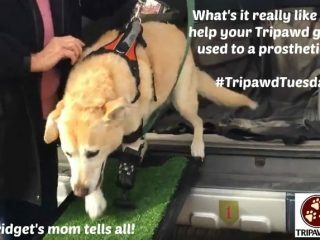 Bridget’s mom tells all about partial amputation wound care and prosthetic preparations for an amputee dog, in today’s Tripawd Tuesday. 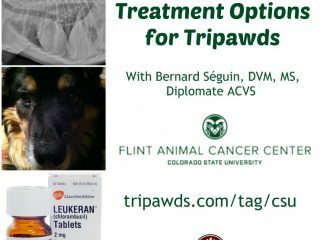 In today’s Tripawd Tuesday story, you’ll read about Bridget’s Partial Amputation and Prosthetic Journey, a detailed report on what it takes to have a dog evaluated and treated for a partial amputation and artificial leg.